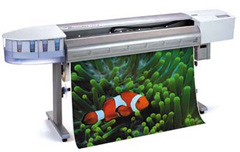 Superchrome’s poster and canvas print services is a very effective method to promote your business and to advertise and communicate with a target audience. Superchrome’s digitally processed posters can be produced at short notice. With our posters you have the choice to display just lettered messages or have a combination of script and graphics. Our basic poster prints come in 3 types of paper finishes matt, gloss, and satin. Each of these finishes has their unique distinct advantage that can enhance the visual effect of the poster. Prints may also be ordered as film based backlits. These outdoor and indoor backlit poster displays are durable and the light source that seeps in through the backlit can bring more life into your poster. Our simple and plain vinyl lettered posters also make their mark. These vinyl letters are self adhesive and come in all imaginable colors, sizes and fonts. Our canvas prints are most sought after by the art loving communities. They are the ideal medium for abstract and regular art duplications. Our giclee canvas prints are always near perfection and come with a special layer of coating. And the photograph canvas printing service will now reproduce your best photographs on canvas at various sizes and resolutions. Our poster and canvas prints together have the digital advantage of easy manipulation on a computer. We also do retouching on your art work if required. Our mounting and stretching services will make us a total solution provider for all your poster and canvas print needs. This high quality printing service comes to you at incredibly moderate prices. Our turnaround time is between 48 and 72 hours. Our prints are delivered bubble wrapped if stretched and sent by Royal Mail. Contact us for quotes. Our high quality canvas photograph prints are very competitively priced. If you would like to know more about our poster and canvas print service, any of the projects shown or if you want to discuss any project you have coming up then contact us 020 7237 9333 or fax 020 7237 9444 or email sales@superchrome.co.uk. Our experienced personnel would be able to guide you appropriately.